As in years past, 2017 has gotten off to a busy start for Pay for Success and evidence-based policy and practice. 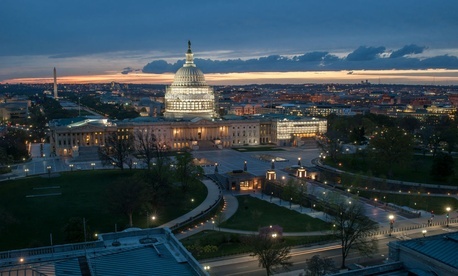 At the federal, state and local levels, policies and initiatives have been developed and new efforts are underway to bring a greater focus on evidence, data, and outcomes in the provision of government resources. With the Administration reaching its 100-day mark and the to-do list of the 115th Congress growing, America Forward held our second Pay for Success and Evidence-Based Policy Network call recently to discuss the current “State of Play” in Pay for Success and evidence-based policy and practice. This post reflects the major updates provided during that call and additional resources needed to access more detail about each major piece of legislation, Administrative initiative, and state level effort underway. Commission on Evidence-Based Policymaking: The Commission on Evidence-Based Policymaking was officially established in 2016 after the passage of the Evidence-Based Policymaking Commission Act. The Commission is tasked with making recommendations for how best to incorporate outcomes into federal program design. Current Status: Since July of 2016, the Commission has been meeting regularly on a variety of topics and has heard from experts as well as from stakeholders during the public hearings they have been holding in DC and across the country. The work of the Commission is statutorily scheduled to wrap up by the fall of 2017. With the transition to a new Administration, a new member was added to replace the previous OMB representative. Nancy Potok now serves as the OMB designate on the Commission. A list of all members, meeting notices, and information from prior meetings can be accessed at www.cep.gov. Appropriations: As updated in previous posts, Congress did not complete their normal order Appropriations process prior to the end of the fiscal year on September 30th of last year. As a result, Continuing Resolutions (CR) had to be passed at various points to continue funding for federal programs. The last CR was passed in late April with an expiration date of May 5th while Congress worked out the final details of an omnibus bill to fund the federal government through to September 30th. Current Status: On May 4th, Congress successfully passed the Consolidated Appropriations Act of 2017 to fund the federal government through September 30th. The legislation provided a total of $161 billion in discretionary funding, which is a decrease of $934 million from last fiscal year. For the Pay for Success and evidence community, there are both highlights and lowlights. The new innovation fund authorized through the Every Student Succeeds Act, the Evidence Innovation and Research grant, was funded at $100 million, there is continued authority for the Performance Partnership Pilots, and language was included to support the development of a What Works Clearinghouse focused on effective programs to move welfare recipients into work. In addition, unfortunately, the Social Innovation Fund was defunded. Social Impact Partnership to Pay for Results Act: This legislation was previously introduced in both the 113th and 114th Congresses. A comprehensive Pay for Success bill, the legislation would direct federal resources to states and local communities to support innovative Pay for Success arrangements. In January, led this time by Rep. Tiberi (R-OH) and Rep. Delaney (D-MD), H.R. 576 Social Impact Partnership to Pay for Results Act, was introduced with bi-partisan support. Current Status: Since January, the House version of the legislation has added additional co-sponsors, including Rep. Messer (R-IN). In addition, the Senate introduced their version of the bill in April with bi-partisan support. Senators Young (R-IN), Bennet (D-CO), Booker, (D-NJ), and Collins (R-ME) are all original co-sponsors of S. 963 the Social Impact Partnerships to Pay for Results Act. There is no timeline for passage of either bill. Current Status: The House bill was introduced on May 4th and is anticipated to be taken up by the relevant committee, Education and Workforce, in the coming weeks. Pay for Student Success Act: Introduced by Senators Bennet (D-CO) and Hatch (R-UT), this legislation would create a new Pay for Success initiative in the Higher Education Act that supports the development of innovative, evidence-based strategies to increase college retention and completion for low-income and first-generation students. In March, the Administration announced the creation of the White House Office of American Innovation (WHOAI). Through an executive memo, the President outlined the focus of the Office as bringing together the best ideas from government, the private sector, and other thought leaders to ensure that America is ready to solve today’s most intractable problems, and is positioned to meet tomorrow’s challenges and opportunities. The Office is charged with identifying and supporting efforts to implement policies and scale proven private-sector models to spur job creation and innovation. Diana Epstein, Evidence Team Lead at the Office of Management and Budget (OMB), joined the call to talk about some of the evidence and innovation interagency activities still underway at OMB and to provide an update on where those efforts are going. Diana reviewed the primary cross-agency initiatives underway and identified areas where the Pay for Success and evidence community could engage if interested. For those would who like to connect with Diana directly on these initiatives, please contact her at Diana_F_Epstein@omb.eop.gov. Through the Social Innovation Fund (SIF) at the Corporation for National and Community Service, federal dollars have been leveraged by a 1:1 match of private dollars to support the study and development of Pay for Success projects. This funding is available to determine if and how funding for social services can be tied to the achievement of long-term outcomes for true impact in low-income communities across the country. Using an intermediary structure like the SIF Classic program, organizations across the country are supporting states, cities, and nonprofit organizations to study and structure PFS projects and/or assist in ecosystem related activities to advance a Pay for Success approach to policymaking. Since the last State of Play update, several new efforts have been announced supported by this SIF funding and links to many are included below. David Yokum, Director of The Lab @ DC, provided an overview of this new initiative in the District of Columbia. As a new scientific team housed within the Office of Mayor Muriel Bowser’s executive office, The Lab is focused on using the scientific method to drive evidence-based decision-making in government to improve lives and communities. Aligned with the work of Rashad Young, the District’s City Administrator, David and his team are working to produce evidence that District policymakers can use in the day-to-day governance of our nation’s capital. To learn more about The Lab, please contact David at david.yokum@dc.gov.